The federal Liberal government spent more than $30,000 to come up with a better name for its "Future Skills Lab" job training agency — and settled on "Future Skills Centre" instead. 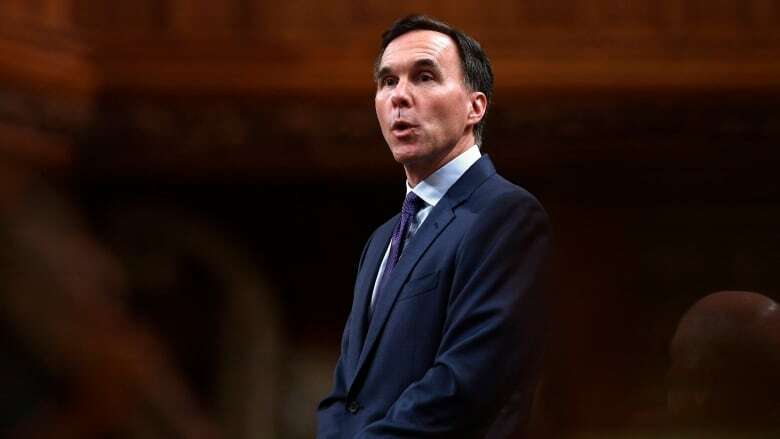 The idea and original name were generated by Finance Minister Bill Morneau's council of economic advisers ahead of the 2017 budget, where the Liberals committed $225 million over four years to the agency beginning in the current fiscal year, with $75 million annually thereafter. The agency's mandate is to find new ways to provide skills training, combining efforts with the Future Skills Council, which identifies emerging job-market trends to help focus government spending on employment initiatives. And while "Future Skills" made sense as the main theme of the whole endeavour, internal government documents from earlier this year show no one had focus-tested the agency's name. "Without a brand building campaign, it is difficult to assess how a name will ultimately sear into consciousness," reads a pitch to the top official at Employment and Social Development Canada and approved Feb. 1. The Canadian Press obtained a copy of the document under the Access to Information Act. The department provided a copy of the final report, which is to be made public shortly. Participants in a public opinion poll — the price tag for which was $30,480, including tax — preferred "centre" to "lab," which conjured images of a "science lab, lab rats, and white coats." Some participants were "even a little upset" that there were so many "lab" names being tested on them, the report noted. The consultants recommended a short, simple and straightforward moniker: "The organization name must absolutely be oriented towards the future while still remaining accessible for the general public." The final report arrived in late March, about a month after the Liberal government's third federal budget, which referred to the centre as a "skills lab." A spokeswoman for Labour Minister Patty Hajdu, who is in charge of Future Skills, said consultations were done to ensure Canadians understood the role of the centre "in addressing the challenges and opportunities that come with innovation." "When Canadians have the tools they need to embrace the challenges and opportunities that come with innovation and new technology, we can create the kind of sustained long-term economic growth that works for everyone." The centre is supposed to start operations this year, but the government is giving groups until next week to submit proposals for running the arm's-length agency. The extension is a response to concerns from many organizations about "tight timelines to develop detailed proposals and discuss potential partnerships," said Amelie Maisonneuve, a spokeswoman for the department. "Given the importance of this initiative, and the significant interest from across the country, offering additional time was deemed the right course of action."